In the console wars, developers sometimes pick sides. Why do some side with Microsoft, especially when making first person shooters? Hop in your Titan, and get ready for the release of Titanfall 2! But do fans actually want this game? Learn all the details about the newest technologies implemented in Titanfall 2. Respawn Entertainment is set to release a head-to-head strategy card game sometime this fall. Why don't we use mechs in the military like in Titanfall 2? Science gives us all the answers. Sign up for the Titanfall 2 multiplayer technical test and standby for Titanfall. Games like "MAG" and "Socom Confrontation" are no longer playable. So how spine chilling will it be when "Overwatch" suffers the same fate? April Fools is done right by Bohemia Interactive and CD Projekt Red, but almost no one else. April fools is terrible, but why am I scrooge about it? Titanfall joins the growing list of gamesavailable for free with an Origin Access account. Titanfall 2 seems to be shaping up nicely! It's got a solo campaign and everything!! 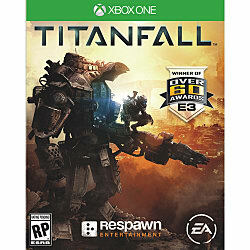 Respawn Entertainment are planning to show us they aren't just interested in dropping robots from the sky! Particle City is the force behind the project and the first game is set to release for iOS and Android in 2016. Titanfall just isn't fun anymore. It needs something new, but before they make any drastic changes the modding community can help with that.